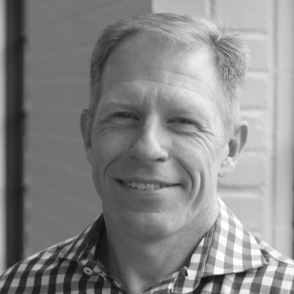 John is the Founder and Managing Director of The Barnes Group Advisors. He has been involved in metal additive manufacturing since the late 1990s and is recognized internationally for contributions to additive manufacturing, product development, and leadership in engineering. The roles and rules of design are changing. As the capabilities of 3D Printing and Additive Manufacturing (AM) progress through larger engineering ranks, we see enormous benefits in terms of efficient design and streamlined workflow. It impacts how we think about design and its integration with manufacturing. AM forces us to revisit requirements and ask: what does our part really need to do and what is the most efficient structure to accommodate that? This could mean faster prototypes, fixtures and tools; lighter parts with increased functionality; previously unaffordable parts with complex internal structures; and parts with more functional designs. The potential for AM is limitless, but to best leverage what the hardware can do, the software needs to keep up. 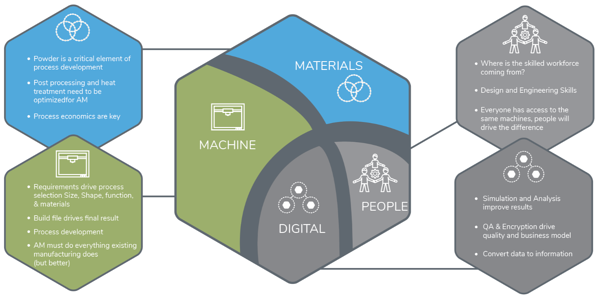 When we talk to people about 3D printing and Additive Manufacturing, we break it into four components: machines, digital (sensors/software), materials, and people. Previously, engineers would try to conquer these four individually. But it’s integration that will bring a step change in performance. All of these parts come together to enable advances in education, design flexibility, manufacturing thinking, robustness & quality, and productivity. For example, the digital component, including software, has a central role: it is what allows the hardware (the machine) to better utilize the materials. Transitioning a part from an idea - to a printable design - to a finished component is no small feat. The software needs to translate design requirements into practical machine operations that lead to a viable print. Integrating software is currently a challenge for legacy additive manufacturing. When we look at what users want and how they’re actually using AM, we’re watching them become sophisticated. The industry consistently says that, to support growth, it needs education and training. Part of that is for a manufacturer to understanding AM but part of that is for AM experts to understand manufacturing. We need to think like manufacturers, to speak their language, in order to communicate clearly. Manufacturers are looking for tactile pieces of information: they want a manufacturing device with usability, service, uptime, and a quantified dollar-per-hour operating metric. Manufacturing is about a machine that they turn on and have it run the same way every time. Polymers, having led the way in AM, are a pathfinder for metals. We’ve already seen some of these performance aspects addressed in polymer processes, and now, we, as an industry, are taking those lessons and applying them to metals. Metals are more challenging, in some respects, having higher stresses and wider temperature transients. We see this manifested in sacrificial material like support structures. Anyone intimate with the industry is aware that supports, while necessary, use material, take time to print, and cost money to remove. However, moving away from supports requires an integrated approach. What’s interesting about VELO3D is that they are taking an integrated approach to three of the four components: machines, digital and materials. VELO3D is blurring the materials behavior, the machine performance, and the software to give the designer a better perspective and improve on the current state of the art. The rules of design cover the entire process from requirements to finished part – design is not separate. In AM however, we often get caught up in the technology and perceived requirements versus actual part demands. We have introduced new rules of design solely to support the manufacturing process (DfAM). While this is not uncommon, these assumptions take us away from a natural process or workflow and lead to increased sacrifices to using AM. The good news is that, every day, we see tools that move us back toward a natural design workflow by incorporating AM thinking directly. One sacrifice that many of my colleagues understand is the STL file. Few print preparation solutions offer native CAD workflows. Users import STL files that break down the original CAD drawing into triangles and lose valuable design information. 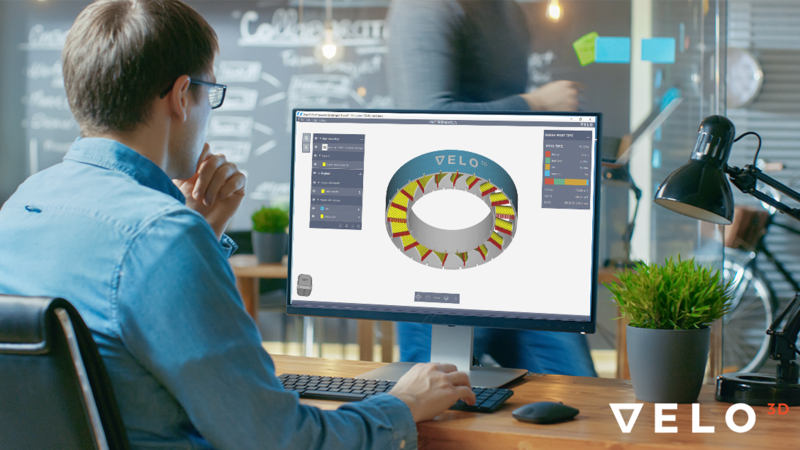 VELO3D’s approach of staying in a native CAD workflow enables engineers to retain all of the designer’s instructions and be consistent with the design intent. This is a big plus. Software that accelerates print preparation, simulates the print, predicts potential print failure, and monitors the part during the print creates a more workflow-based approach to design. From my perspective as a materials engineer, I am excited about the notion that materials are incorporated into the thinking of VELO3D’s machine. That, to me, is really the headline of VELO3D. Integration is not easy, and all AM machines are complex. Removing that complexity of the process through integration and powerful software solutions simplifies metal 3D part creation. We still need to see how the market responds and how the machine responds to the market. As people put these capabilities into use and fire up their Sapphires every day, the market will decide if the strategy of integration can create real world value. 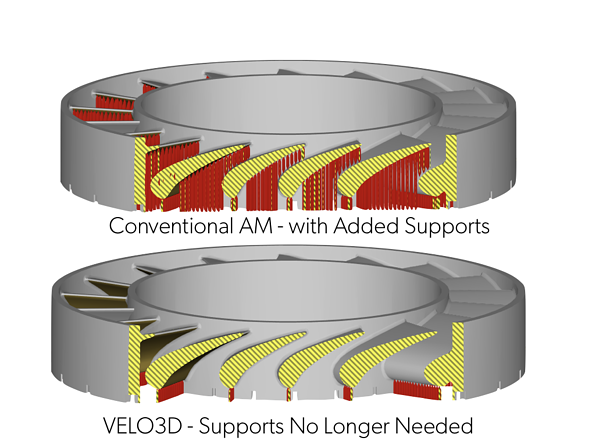 However, from what I have already seen, VELO3D represents progress, their strategy of integration - a powerful advancement for additive manufacturing.